Marco Rubio has had a tough Republican primary so far, having consistently come third to Donald Trump and Ted Cruz. He won Puerto Rico on Saturday, and hadn't won a single state until Super Tuesday last week, when he won Minnesota. 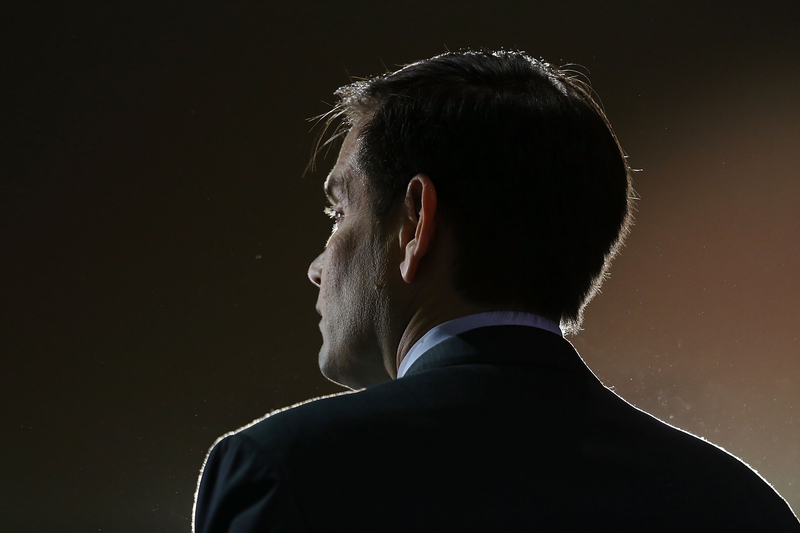 With Super Tuesday 2 heating up on March 8, voters were coming out in Michigan, Mississippi, Idaho, and Hawaii, and Rubio wasn't expected to win any of them. And indeed, he actually ended up in a tight race for last place with Ben Carson — whom you may recall is no longer running. Carson maintained his candidacy in the Republican race to the White House for far too long, leaving primaries early to finish his laundry and awkwardly messing up his debate entrances. But after finally suspending his presidential bid after Super Tuesday with no wins and just eight delegates to show for his efforts, he was actually doing well in Mississippi on Super Tuesday 2. Carson was leading Rubio at one point early on in the polling, and was later just one percentage point behind the Florida senator. The man who's no longer even in the race sure gave Rubio a run for his money. According to a statewide poll released earlier this week, more than half of Florida's Republican primary voters would vote for Carson were he to run in the state's upcoming senatorial election. Let's hope for Rubio's sake that Carson doesn't again pose a threat to him during Florida's Republican primary on March 15. Some of Rubio's campaign advisers are reportedly not so sure about his campaign continuing on even until then. According to CNN Politics, one source said, "He doesn't want to get killed in his home state, a poor showing would be a risk and hurt his political future." And a Monmouth University poll from March 7 found that Republican frontrunner Donald Trump is leading in Florida, with 38 percent of support to Rubio's 30 percent. Carson can't split those votes for Rubio! Polls are still open tonight until 1 a.m. ET in Hawaii, though, and just closed in Idaho, so Rubio will still have a chance in both of those states to hopefully not have to compete for last place with Ben Carson.